Science fiction writers and filmmakers appear to be obsessed with the end of the world through alien invasions, monsters or dramatic natural events. Similarly, some religious groups focus on the ‘end times’ and tend to see signs of the end in every moral and political crisis that hits the world. Obsession with such things is condemned in today’s scripture readings. The Book of Daniel talks of God’s victory and the time of deliverance that will follow troubled times, but the author doesn’t linger over the anguish. He looks forward to the time when wisdom and righteousness are recognised by everyone. When that happens, it will be obvious where the truth lies. For Daniel’s author, the wise are those who have maintained the faith of God’s true faith by living it and believing it. The book is written in such a way that it appears to be written in one historical period while encouraging the faithful Jews in the Maccabean wars just over 100 years BC who were defending their religion against the Greeks who were forcing them to abandon it. The Islamic terrorist demand that Christians convert or die is not something new. We haven’t reached that point in Australia yet, but secular governments are marching on restricting the freedom of Christians to practise their faith through the legislation that they are passing. The gospel reading contains a warning for those religious leaders who lead the faithful away from God’s truth. He told them that they may spot summer’s approach when the fig comes into leaf but to stop looking for signs of the end because when they appear, they will be unmistakable. Meanwhile the faithful, like the night porter, must remain alert. They must not allow themselves to be fooled by the latest trends and fashions of self-serving leaders. Disciples must watch and be ready for our own personal end and for the final end. Jesus has reversed the damage done by Adam and Eve’s self-centredness illustrated in the story of the Garden of Eden when they chose to eat the fruit of the tree of the knowledge of good and evil rather than the fruit of the tree of life. Jesus has made it possible for us to accept God’s gift of salvation yet following his way does not mean we will live a trouble free, pain free, bankrupt free life or have perfect universal relationships. All we are asked to do whatever life throws at us, is remain faithful, especially when there is no obvious reason to do so. We are pilgrims on the move. God’s people always has been. 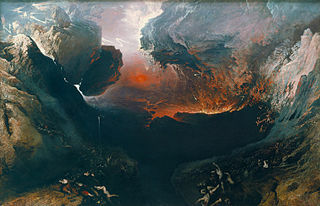 Moses did not let his people stay at the foot of the mountain after he returned from collecting the ten commandments. Jesus didn’t allow Peter, James and John to stay on the Mount of Transfiguration. St Mary of the Cross Mackillop reminds us that “We are but travellers here.” We must journey on with those who keep the faith of the Church in order to be lights to those who don’t. The first Christians believed that Jesus would return soon and the world would end. The reality is that he has already ushered in the end. This is what the Kingdom of God is, and those who try to live by its values are already living in the end. Until that end is final, deal with the present, look forward to the future. “Be of good courage, hold fast to that which is good, render to no one evil for evil, strengthen the fainthearted, support the weak, help the afflicted, honour everyone, loving and serving the Lord, rejoicing in the power of the Holy Spirit. 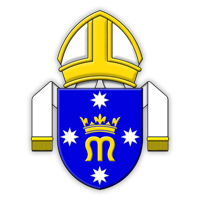 Monsignor Entwistle was the first Ordinary of the Personal Ordinariate of Our Lady of the Southern Cross. Educated at St Chad's Theological College, he was ordained a priest in the Church of England Diocese of Blackburn in 1964. After reception into the Roman Catholic Church, he was ordained to the priesthood in St Mary's Cathedral, Perth on 15 June 2012. 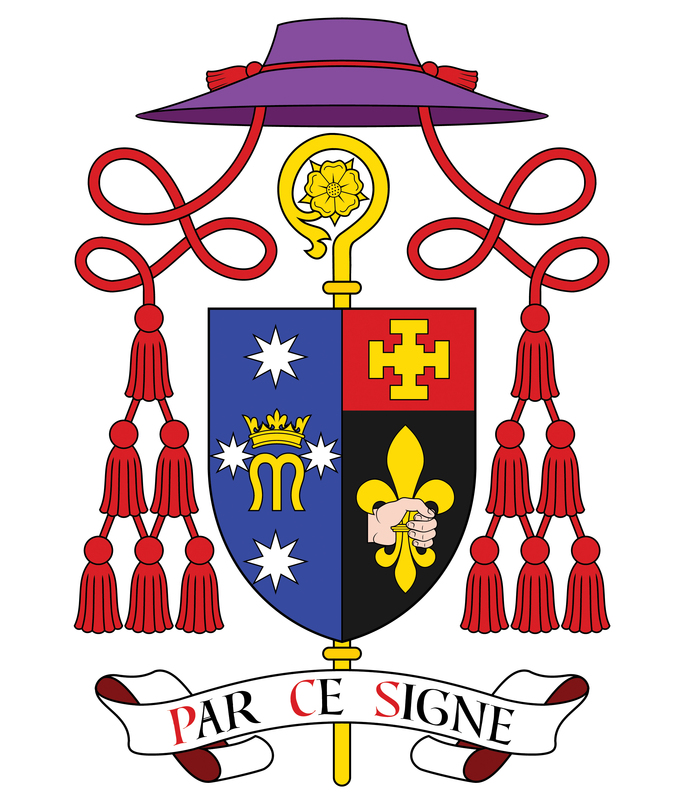 The Personal Ordinariate of Our Lady of the Southern Cross was erected by Pope Benedict with the the Decree of Erection, signed by William Cardinal Levada, Prefect of the Congregation For the Doctrine of the Faith was signed on 15 June 2012.